…Especially when it comes to the classics. The streamlined Classic Racing Fountain Pen combines the art of automobile design with the art of writing to produce an exceptional instrument that is hugely stylish in this combination. 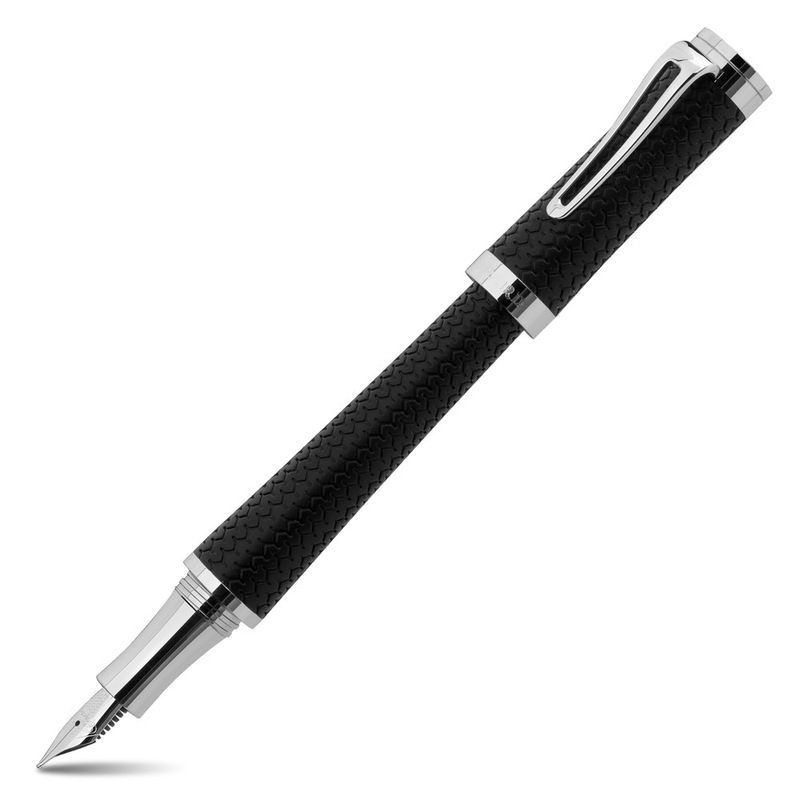 Encased in black rubber with a tyre tread design, this sophisticated writing instrument offers a luxurious finish in the form of a shiny palladium-plated tip and pocket clip, with an eighteen karat gold, rhodium plated nib that simply exudes opulence. It's the perfect accessory for the distinguished businessman, or woman. Precisely perfect – it must be Chopard. Cap and barrel encased in black rubber with tyre tread design. Palladium-plated grip, tip and pocket clip. Eighteen karat gold, rhodium plated nib.